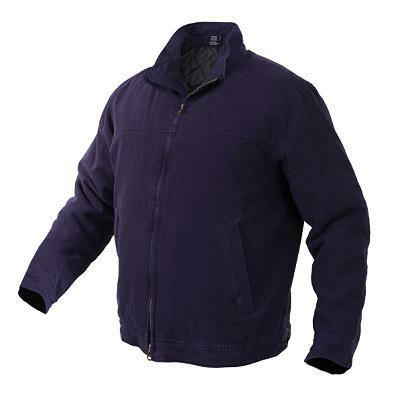 The jacket features a washed 100% cotton outer shell and polyester inner lining. Four inner mag pockets with hook & loop flap closure. Additional features include; two tricot lined front zipper pockets, button closure wrists, and button adjustment waist straps.